The own website is the central element in the toolbox of an independent vacation rental owner. It is a harsh warning sign, if it does not sell or stop selling. No inquiries mean any new booking and the vacation rental calendar stays empty. For sure, that is scary. If this happens to you, there is no reason to panic. But you need to act, the faster – the better. Often there are easy fixes to make your website a selling machine (again). Required is a good analysis of reasons to find the fixes you need to implement. The reasons will most probably not be changes on your websites but in changes of the environment for your online marketing of your website and / or in user behaviour. The better you analyse this reasons, the easier you will find where you can do your positive changes. Is your website not effective anymore? Or did you lose website-visitors? A good vacation rental website will convert your visitors into inquiries. It generates so-called “leads” for your business. You want to receive call-ins or emails from interested renters to send them a quote and get the booking. If your vacation rental website does not sell any more, it can be that you have suddenly less website visitors – or the wrong ones. It can be the hint that your vacation rental website marketing does not work proper. Where do your visitors come from and are there changes? A first check is to look for your website statistics and find out, if there is a change in the structure of your visitors. If you have no website statistics, you should install such a tool. While there are bunches of such free or payable tools with different functions, a free and easy to use one is Google’s Analytics. You need this data to check, where you get your website visitors from and if there are changes. If you find a significant drop in any of visitor channels, you can look for the reason and try to regain the visitors. This can be impossible or very hard – like if you lost some keywords in the google search results – or easy – like if a friend has removed a well-used referral link from his website by chance and you can ask him to add it new. Usually you can replace missing visitors very fast with setting up a Google AdWords campaign. All other marketing actions take more time. If you have a low amount of visitors at all, you need to think, where you want them to come from and take action. For ideas you can check out our knowledge base or ask the Open Booking team for additional support. If there is no significant drop in visitors, the next question will be if there is a significant raise in your bounce rate. A high bounce rate is an often a signal, that you are doing something wrong on with your website. The Bounce Rate indicates how much your visitor interacts with your vacation rental website. If your visitor comes to your domain and leave it right away, without doing something like clicking or even scrolling, he “bounce back” and raise your bounce rate. High bounce rates can also be a negative signal to search engines. This leads often to a lower position in the search results. Not all bounces are “bad ones” – it happens, that someone just looked for your phone number and called right away. Just if your website does not sell any more, this is not what happens to you… Consider your high bounce rate as something negative, which should be fixed ASAP. Basically there are three big reasons for bounce rates: The technical reasons (like not mobile friendly), the reasons in a wrong auditory (e.g. the visitors do not belong to your target group) or the content reason (e.g. the visitor comes not because he wants to book but because of other reasons like reading news). Depending on the topic of a website, the bounce rates are between 30% and 95%. A Website of a newspaper has a higher bounce rate (people read only the news) then qualified landing pages like your vacation rental page should be. A good vacation rental webpage has a bounce rate under 30%. An average VR Website is under 50%. If you find the reason for bouncing users on your page, you can make fast changes to get those users as real visitors. For older vacation rental websites the first point – the website is not mobile friendly – often is the most critical point. It is a bigger technical change in the environment since your website was setup. Today more than halve of the users in internet research and book their holidays with mobile devices like smartphones and tablets. If you use a not mobile friendly website with a tablet-pc or a smartphone, there are several problems: The text is too small and therefore difficult to read, the Links are too close together, there is no fixed mobile viewpoint and the content wider than the screen. User with tablets or mobiles tend to not to work with such websites, as there are enough mobile friendly ones. You can check if your website is mobile friendly with Googles Mobile-Friendly Test Tool. If your website is not mobile friendly, you need to change your website template as soon as possible! This can be the major reason for the missing requests from your website: User bounce back and even the ones who stay are not really able to send anything. What to do, if the website is not mobile friendly? 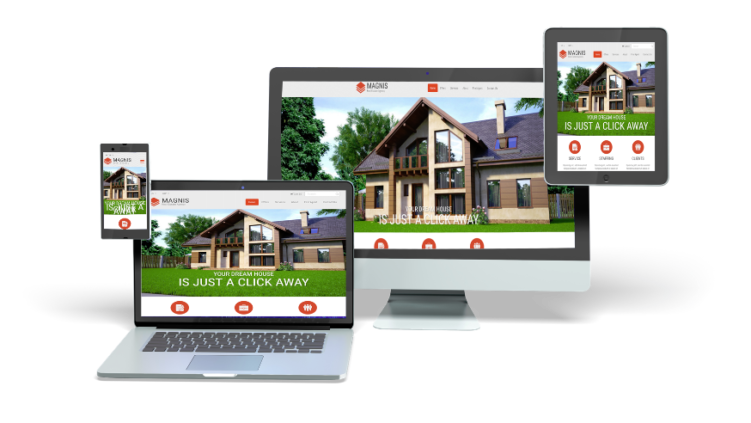 Fast, easy and affordable: Get your website ready for the use on smartphones and tablets. For all major CMS you can find mobile friendly templates. If your website is still simple html, consider to use a Content Management system like the free wordpress. The second main reason for a high bounce rate is “wrong users” caused by a wrong marketing. Website visitors come from different sources because they expect something when clicking a link to come to you. 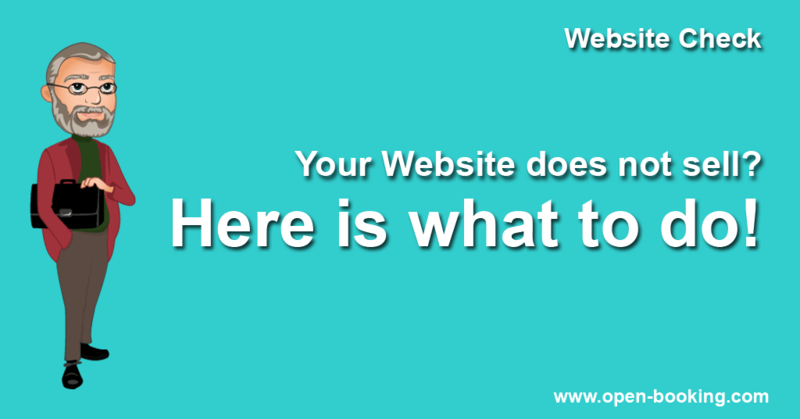 If your website does not offer, what they expect, they will leave right away. Maybe you choose wrong keywords for your Adwords campaign? Or your banner promise something what your website is not able to fulfill? Check your marketing for its messages and correct it – to get only users you want to get. Wrong first impression – are you lovely enough? How friendly you are and how customer related can be checked with the first view. What is the impression your visitors get with the very first call of your website. Popups or advertising? Ugly pics? A “strange” first message? You have only few seconds until the new visitor decide to stay on your website – if you do not get them in first view; there is no chance for a second view. Have you checked your websites first impression on different devices like smartphones, tablets and PCs with different browsers? You should – and be honest with yourself when you decide, if there is a nice or an ugly first impression. Reducing your bounce rate from 80% to 60% would give you the double amount of useful visitors – a big step to make your website profitable again. Reducing your bounce rate will raise the amount of people who check your vacation rental offer – essential for the success of your website. What to do to raise the conversion of your website? If you have enough not bouncing website visitors and your website does not sell, you need to think about the reasons for a bad conversion. A good vacation rental website gets 1-3% of visits into inquiries. The average website will still convert with 0.2%-0.5%. Think about what is your individual conversion. If you have a lower conversion there are many possible reason and solutions to consider. This is the clear point where you should say: “No matter if the glass is halve full or halve empty – there is clearly space for more”. Do you give all available reasons to book with you? A website visitor who didn’t bounce back and started to check your pages is looking for reasons to book. If he does not do, you do not give him those reasons. In a worse case you do not give him the even the option to send a request. There are several areas where you can start to check why your website does not sell any more. Do you give actual vacancy? If you have no or not actual calendar – If you have an actual vacancy-calendar, you will receive more inquiries. Some people tend to leave a website, if the calendar is not there or not actual. While some years ago it was not unusual to ask, if a vacation rental is free, the millennium bookers expect to check their requested dates right away. If you have insufficient or complicated contact and reservation options you will lose bookings. Objects with a date-related request function, good email forms and options for phone contacts available receive more requests. Domains where you need to click 3 times to find a masque email address are completely out. Do you have a direct booking option? It will give additional positive effects. Check your contact options if you really provide what is needed. Do you have your “call-to-action”? You will feel it in your calendar, if you have no “Call-To-Action”. It might sound strange but the “Send Inquiry” or “Book now” button help the user to contact you for what they – and you – want. And your website visitors expect that you provide such easy to access options. You need to update your offer? A strong, selling website needs maintenance. If you do nothing with your website, it will not become better or stronger. It just will be old some when and not effective any more. Check your prices. Is your price offer up to date? You do not need to be cheap, your prices should be reasonable. Do you work with flexible prices already? Is the value of your offer comparable with your (maybe new) competitors? Check your photos. Are your photos up to date and do they show the actual value of your offer? A professional photographer increases with his work often the value of your vacation rental. Check your description. Is the description of your holiday home an inviting description? Users notice it very quickly if an object description is written with little love. When you start checking your website and find much to do, it might be a good idea to think about a complete relaunch instead of trying to repair the single elements with much afford. If your vacation rental Website does not sell (any more) there are many things you can do and you should do. A website always needs maintenance in the changing environment. Whether you want to increase the amount of website visitors or think about the conversion of your domain – it is you who can do the changes. The “WWW” will not do it for you. A website build for 2006 does not necessary work well in 2016. But you can change it and make it a selling machine again. "If you’re unsure, what to do or where to start to make your website a selling machine again, I offer help: I’ll check your website individually and give you step-by-step instructions free of charge." « AdWords Change: RIP Right Side Ads!